While there are countless affiliate programs in almost any niche that you can conceive of, Amazon is undeniably the blue chip brand that many young affiliate marketers use to cut their teeth on, and those young marketers should be under no illusions, a full-time salary can be earned from Amazon if the proper strategies and tactics are implemented. For an aspiring affiliate marketer that’s thinking about including Amazon into their portfolio, here are six useful methods to help make as much money as possible. I) Use Amazon links over Google AdSense when it comes to border and banner advertisements. Amazon links that you place in your borders and banners should be some of the core products that your website specializes in (products that are mentioned in numerous articles), and of course, the pricier they are, the higher the commission. Conversion rates and payouts for Google AdSense are pitifully low. But with Amazon, not only do you receive a commission on the item they clicked on at your website, but also the entire basket of purchases they make once they land on Amazon’s page (their tracking cookie lasts for 24 hours after leaving your website and for 30 days if they put an item into their shopping cart). You do math when it comes to a cost-benefit analysis between Amazon and Google. A commission is not only earned when a reader clicks on a high value Amazon link in one of your borders, but another commission is earned (one that might actually dwarf the first commission) on the hundreds if not thousands of dollars they spend at Amazon’s website. One successful Amazon sales conversion could be worth a dozen Google banners, and unlike many of the companies that Google advertises for, Amazon has a blue chip brand that already has a massive and loyal online following, so the trust factor need for a successful ad click is already built-in. II) Don’t being stingy with affiliate links. For every product, you should have at least two links for it, one in the verbal written text, and one with a visual image of the product that the client can actually look at it. Some successful Amazon marketers will have between ten to twenty Amazon links in a single post, but there is also a danger to this strategy that you should be conscious of. A post that’s over-saturated with links can often give off a deceitful and disingenuous vibe, to the point where the author starts coming off as a used car salesman that’s harassing and pestering their readers. This is also one of the chief problems with Google AdSense. Because of its low conversion rates, people will over-saturate a post (as well as including annoying pop-ups) which alienate and annoy readers…thus lowering their web traffic and conversion rates even further. Luckily, Amazon has a solution for this problem. III) Drastically amplify your product portfolio with Amazon’s carousel widget. You can find their widget at http://widgets.amazon.com/Amazon-Carousel-Widget/. Each carousel can hold between 6 to 10 items! They’re sleek, interactive, and an outstanding way to drastically enhance sales conversions while also not annoying and alienating your readers through over-saturation. IV) Embrace a “high volume” strategy when it comes to increasing sales conversions through quality content. What do we mean by this? Well for starters, you can always do recaps of Amazon’s monthly bestseller lists where you post links for each product. Additionally, when doing product reviews, stick to the precious metal system of Bronze, Silver, Gold, Platinum, and perhaps throwing in an Honorable Mention for good measure. Give reviews and links for each product, while also remembering that what you’re truly selling your clients is value. Simply because a product is the most expensive doesn’t mean it’s the best product on the market, and simply because a product is ranked as Bronze-grade doesn’t mean it doesn’t have great value in regards to its costs. This is a perfect example of why you should always keep Amazon’s commission system in the back of your mind. A higher commission might actually be earned if a client purchases both a Bronze and Silver-grade product rather than going “all out” and only purchasing the Gold-grade product. When just starting out (especially when you have no traffic or site visibility), many product reviews will have to be done through your own expense. But be under no illusions, if you’re site really gains traction and a visible readership, companies are more than happy to give demo units to popular websites in order to boost their advertising reach. Such products can either be considered personal loot, or can be handed out as prizes to readers who engage in high-volume content creation strategies such as site surveys or posts dedicated specifically to customer feedback on how your site can be improved. V) To make money, sometimes you need to spend it, especially when enhancing the quality of your website. Don’t get me wrong. Free platforms such as WordPress and Joomla are great for affiliate marketers just starting out, but at some point, you need to buy your own website as well as invest into a copyrighted logo (and perhaps a memorable catchphrase for good measure). When it comes to these investments, don’t think of them as sunken infrastructure costs. You can always monetize your logo by selling t-shirts and coffee mugs (which also make great prizes for surveys and customer feedback). As for overhauling your website, the difference between a site that screams, “I’m an amateur that does this as a hobby in my basement,” versus, “I’m a professional and this is a legitimate and reputable company,” can greatly influence whether someone takes your site seriously and opens up their wallet to you. VI) The focal point of your fiscal year should always be the “salmon run” that occurs in October, November, December, and January. Christmas shopping really is a time that all Amazon Affiliates look forward to, as fish are literally jumping into the boat with you and asking you to catch them. Starting an affiliate business can be frustrating because of the initial lack of web traffic and sales conversions, but a way to overcome that frustration is to have a long-term goal anchored upon the annual salmon run. In those months were fish are few and far between, think of all the work your doing as a form of passive income. Blog posts that are embedded with Amazon links are trout lines being strung over a river (i.e. the internet), and collectively, each post is a piece of quality lumber that’s helping to construct a seaworthy ship capable of hauling in a massive catch of salmon. From February to September, you’re simply paying it forward, waiting for the run to commence in earnest. If you want a piece of advice when it comes to maximizing your catch of salmon, think globally but act locally. So many internet :gurus” want you to build a customer base on a national and global scale, but how about starting in your own backyard? Long before October comes, starting networking and making contacts in your local community at social mixers, Chamber of Commerce meetings, as well as groups such as Rotary, Shriners, and the Lion’s Club. A classic resource you can use to enhance your effectiveness at local marketing and advertising is Dan Carnegie’s How to Win Friends and Influence People. Let the gurus and their acolytes dream globally, your fortune could be built by simply walking out your front door and shaking hands with your neighbors. Conclusion – You can definitely make a full-time living, if not a fortune, off of being an Amazon Affiliate. But website strategies and tactics don’t mean much if they aren’t anchored onto long-term business plan with concrete objectives. 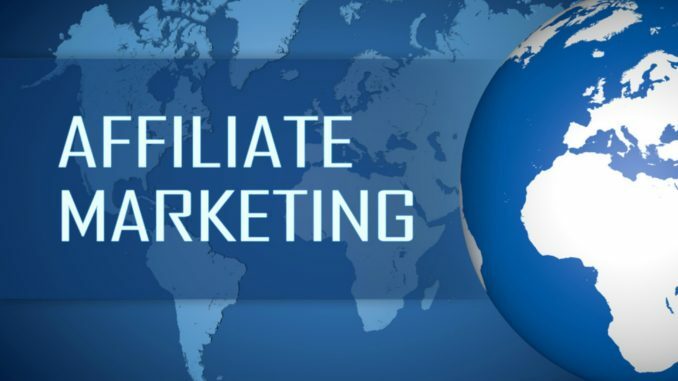 When starting out, being an affiliate can be incredibly frustrating, and of course, it causes many people to give up. But keep your eye on the prize. In the initial months when site traffic is dismal and sales conversions are few and far between, what you’re really doing is stringing trout lines and building a ship that’s going to net you a fortune when the end-of-the-year salmon run finally comes.